Subscribed members will receive monthly access to NavBIM and includes free ongoing access to online training essentials. Companies wanting to get a annual membership for their staff to access NavBIM for an enterprise fee. For more information on accredited BIM courses Contact BIM Academy Africa. Students who have their unique BIM4Students ID found on their BIM4Students manual will receive 12 months free access to NavBIM and includes free access to the WhiteFrog Online BIM Fundamentals, Revit, Navisworks online training essentials. and other online training essentials. Universities in Africa can contact the BIM Academy Africa to find out more about our BIM4Students learning program. 1) Fill out and submit the Online Annual Membership Application link. Remember to include your BIM4Students ID if your university have provided you with one. 4) Need a BIM STUDENT ID? (BIM ID [STU1800xxxx] is only provided to students who have a BIM4Students manual provided by their university. Contact Us with us for any questions or comments about getting BIM4Students into your university. Benefits of Annual Paid Membership? Full access to NavBIM Portal and all associated project templates. Receive BIM updates when they are published to the portal. Access to BIM guidelines for design, construction and operation for any BIM project. Access to online videos and software training with technology partners. Access to targeted events where access to certain paid events will be free to members. 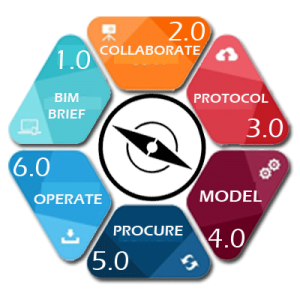 The BIM Institute has been working in partnership with our vendor program members to create standards and supporting programmes to ensure South Africa remains at the forefront of global adoption and use of BIM in Africa. Join our growing readership database and get access to the best independent information and knowledge that will give you or your business the competitive edge in digital construction.